Intriguing with a small dose of drama. Highly recommended! I had so much fun trying to solve these cases. 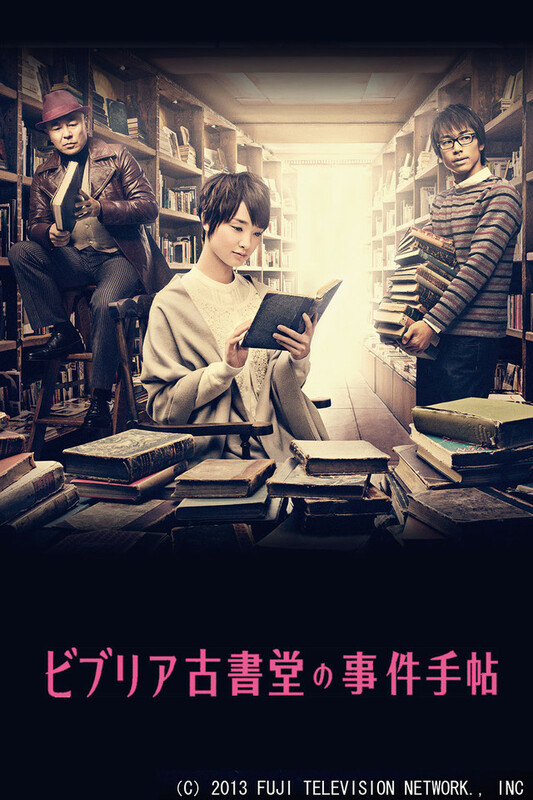 I really enjoyed the whole 'vintage' vibe of the series, I also found the atmosphere of the bookstore very relaxing. Each episode, with the exception of one two-parter, is devoted to a tale that centers around a used book and the secrets contained within its pages. But wait, no, the story isn't about the books, it's about the characters who own, seek, cherish, know, and love these books. Or maybe it's about how intricately people's lives are intertwined, and how a simple book can impact the lives of many people over the course of decades. To make each episode even better, they all end with a synopsis of the story that the episode was based upon, giving the viewer the feeling of having turned the final page and saying, "ahhhh." I only wish there were more episodes of this utterly delightful series. As a book lover, the fact that the characters were working in an antiquarian bookstore is what got my attention. The stories surrounding the characters and their books is what made me stay. Needless to say, I ended up looking for the books and authors mentioned in each episode. A Gem, bursting with love and care. This has all elements of a good drama and/or book. There is careful attention to detail in every one of these aspects. The camera work, direction, editing, and writing are immaculate yet tastefully subtle. The actors, young and old, are all very compelling. The incorporation of a comic relief is perfectly executed, not overbearing(as one usually is). The BGM is a most unexpected use of samplings from m-flo's DJ Taku Takahashi and other rhythmzone backtracks. Truly original and perfectly suiting to this drama. Impressive use of the ending credits sequence concluding each episode with a summary of each book(and/or it's importance) keeps the viewer engaged and gives a great gratification at every conclusion. Though not for everyone, this drama is bursting with love and care, it is a gem.